A former boyfriend of Kavanaugh’s accuser sent a sworn letter, in which he outlined facts that immediately go against the testimony earlier given by Dr. Ford. 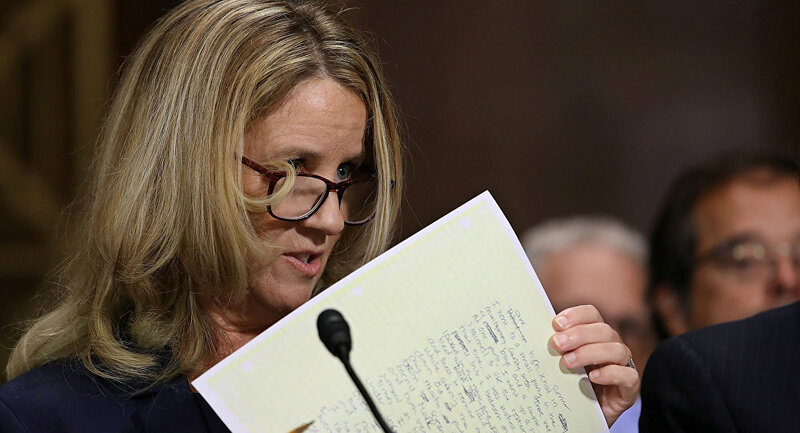 A friend of Christine Blasey Ford denied Wednesday that Ford ever helped her prepare for polygraph test, refuting claims allegedly from Ford's ex that made the Senate question the Kavanaugh accuser's truthfulness. "I have NEVER had Christine Blasey Ford, or anybody else, prepare me, or provide any other type of assistance whatsoever in connection with any polygraph exam I have taken at anytime," McClean said in a brief statement, cited by CNN. He not only requested notes from Dr. Ford’s therapy sessions, but also recordings of the lie detector test she took and her contact with news media. He further questioned her truthfulness, citing a written declaration by an ex-boyfriend of the Californian professor, which appeared to directly contradict her testimony made recently under oath on having never assisted anyone in preparation for a polygraph test. In a sworn statement to the Senate Judiciary Committee, Ford’s former long-time partner, whose name was deliberately redacted in the document, noted that Ford had never talked about Kavanaugh, nor mentioned any sexual misconduct in relation to her during their relationship spanning six years, from 1992 to 1998. He mentioned seeing Ford coach a woman he thought was her “life-long best friend” for a potential polygraph check-up. He identified the woman as Monica McLeanwas then interviewing for jobs with the FBI and the US Attorney's office.